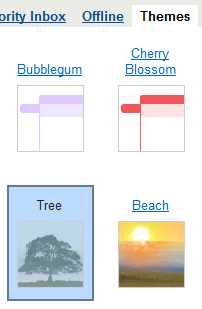 In case anyone wasn’t already using the Trees theme for Gmail, you should know it tells you the weather. Sunny, cloudy, foggy, rainy, snowing. 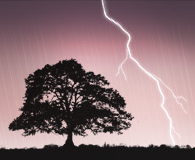 Add a new weather item to that list: thunderstorm! I’ve never seen this one before today, but apparently thunderstorms are rolling through Puget Sound. Very cool.